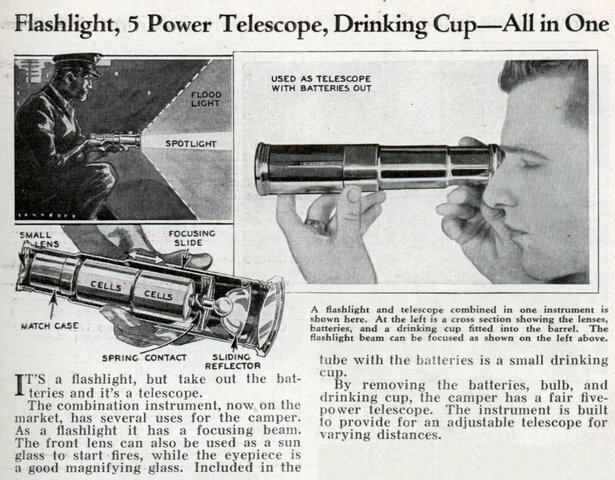 Any fool could come up with a Flashlight/Telescope combo, but it takes a true creative genius to add the drinking cup. IT’S a flashlight, but take out the batteries and it’s a telescope. The combination instrument, now on the market, has several uses for the camper. 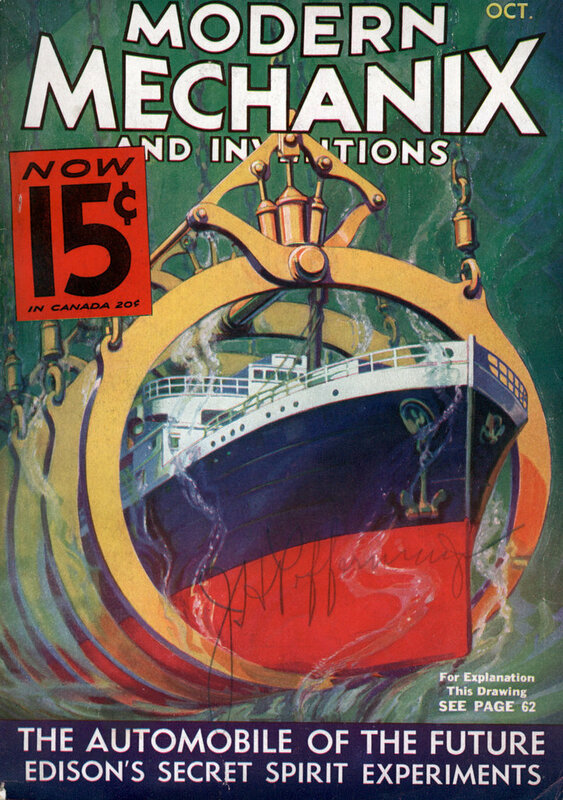 As a flashlight it has a focusing beam. The front lens can also be used as a sun glass to start fires, while the eyepiece is a good magnifying glass. Included in the tube with the batteries is a small drinking cup. By removing the batteries, bulb, and drinking cup, the camper has a fair five-power telescope. The instrument is built to provide for an adjustable telescope for varying distances.